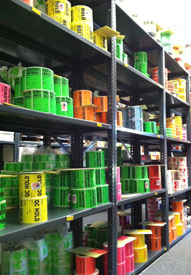 Kenmore Label and Tag is a manufacturer, converter and distributor of identification products, labels and tags. Kenmore’s product offering gives our customers innovative solutions to package, promote, identify and track their products. Since 1985, Kenmore has manufactured and supplied its products for customers throughout North America. Kenmore’s capabilities include flexographic, offset, screen and digital printing services. Kenmore Label & Tag is located in Solon, Ohio and services a wide variety of markets in the industrial manufacturing and distribution areas. Kenmore also sells and services thermal transfer printing equipment, ink jet printers, ribbons and toners. Customers requiring quick turns, Vendor Managed Inventory or online ordering for multiple SKU’s, rely on Kenmore for its ability to satisfy a wide range of needs. For consultation please call one of Kenmore’s customer service representatives or email to customer@kenmorelabel.com.